Son y Bomba is a project created by Jarochicanos and Buya, two Chicago-based groups dedicated to the son jarocho and bomba musical traditions that are part of their respective communities’ cultural heritage. A common force is their emphasis on involving others in fandango and bombazo events where music and dance are shared, not performed. Jarochicanos is a multi-generational collective from Chicago with a deep appreciation and love of son jarocho music and its traditions from southern Veracruz, México. 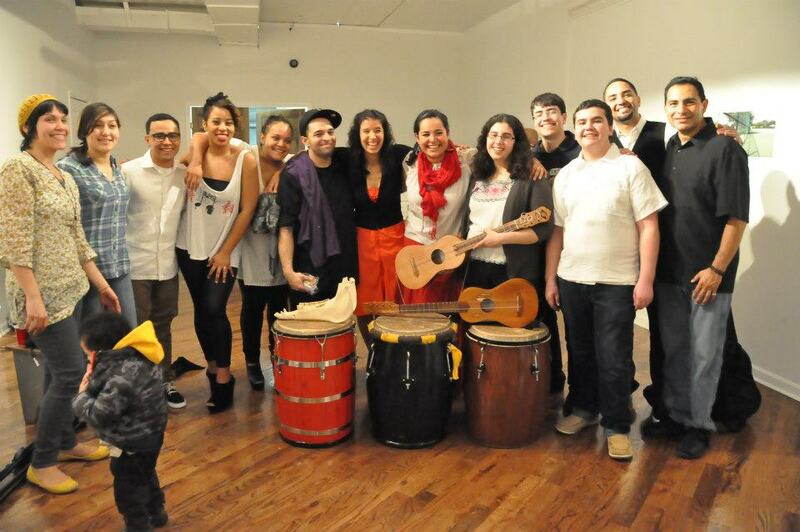 Buya (meaning “good spirit” in Taíno) is a group based in Chicago, dedicated to learning, teaching and sharing Afro-Puerto Rican Bomba music and the bombazo community practice. They actively teach and engage in schools and community settings. Together, they are collectives of families and cultural workers, identifying together through commonalities within these two cultural traditions as they work to strengthen and support healthy communities in different areas of Chicago. They are raising funds to support Jarochicanos and Buya to travel to Veracruz, México in July, 2014 to visit several small communities where son jarocho has been practiced for centuries. They are making this first journey to learn and grow the work they have started, work that is supporting their communities who are finding strength in these migrated traditions. All money raised supports travel expenses for 17 of them including airfare, bus and housing, enabling them to interact with elders and others taking on the responsibility of continuing traditions into future generations. The campaign’s goal is $5,000 and ends August 4.